It’s hard to believe it’s 2012 already and 2 months since I last posted to this blog. Over the holidays we welcomed a new family member – Maeve Anne, born January 4th, daughter of my niece Kate and her husband Marce. She’s a beautiful baby. Now that the holidays are over I need to get back to writing the family history book. I’ve made some some progress, although I keep getting diverted. I’ve been to the Municipal Archies, NYC Land Records, and NY County Clerk Old Records and have found new information about the Colberts. That’s for the next post. This post is about the Colbert’s in Harlem in the 1850s and 1860s. In my post “Where’s John Colbert?” I found that he had settled in Harlem not long after he arrived in New York in the 1840s. By the 1840s and 1850s, as the land’s productivity declined, many estate owners sold off or abandoned their properties. Irish immigrants arrived in Harlem as squatters, establishing shantytowns as well as a territorial claim to street and neighborhood boundaries. This is where the Colberts settled – but was the area where they lived really a shantytown? It’s hard to say. The 1855 New York State census shows the family living in a framed dwelling worth $200.00. This was probably the house on 116th Street and John Colbert may have built it himself. Some of the neighbors had houses worth between $1500 and $6500. One neighbor was named Randall – the family that at one time owned a very large farm in Harlem and gave it’s name to Randall’s Island. Other neighbors were like John, Irish emigrants. The Colbert family in the 1855 census. 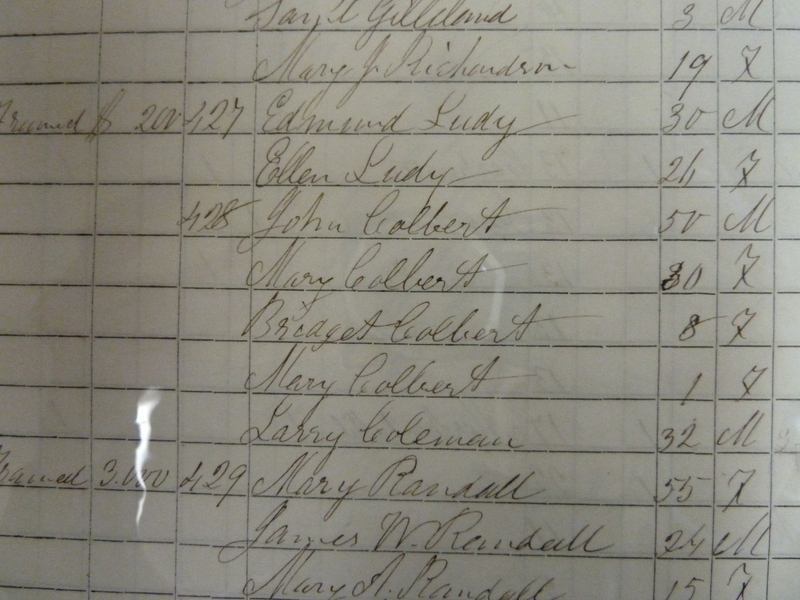 Now that I knew where the family lived I was able to get the baptismal record of my great grandfather – John Colbert. There were a lot of people named John and Mary in this family and it can be hard to keep track of them. St. Paul's Church today - built 1907. 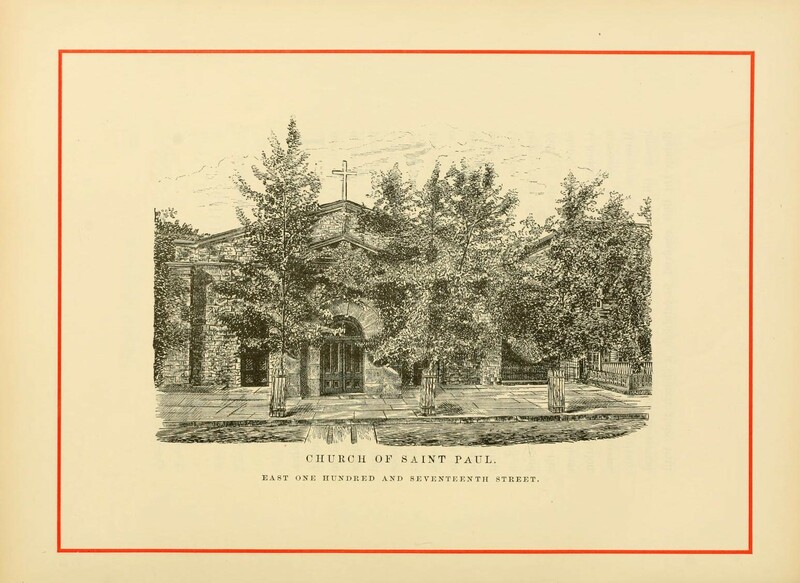 The family were in the parish of St. Paul’s which was located on East 117th Street. The current church was built in 1907, so it’s not where the family went to church. A few years ago my niece Kate and I visited the church. It’s beautiful and worth a trip to see. When we told one of the woman who was there that our family had once been in the parish she invited us to come back to the parish offices. The pastor let us check out the old records and I took a picture of my great grandfather’s baptismal record. 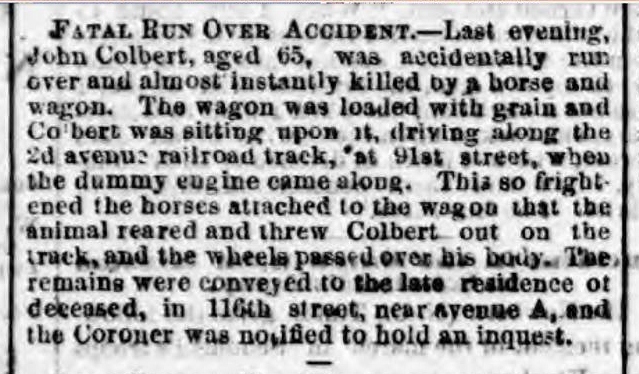 John Colbert died in an accident in 1865 – over the years I tried to find a newspaper report on the accident, but it’s very difficult to check those old newspapers, even when you do have an exact date. Digitized records have changed all that and a search of a free website called Old Fulton Postcards found this article from the New York Evening Express. What did Mary do after John died? She had three young children: Mary, age 11, John, almost 7, and Garrett, just 3. 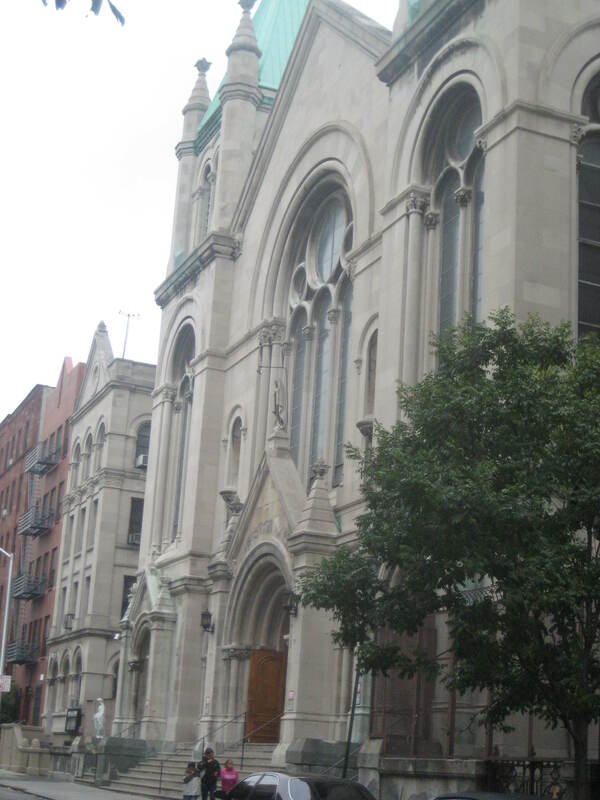 Her oldest daughter, Bridget, was married and lived on East 130th Street with her husband David and their 2 children, James, age 3 and newborn Mary.